role at Promise after earning her diploma. SIOUX CENTER – Lorena Ronquillo always knew she wanted to go into the medical field, but she wasn’t sure which career to choose. One day, she job-shadowed a dental assistant for school. Then, she knew. That career goal choice now is becoming a reality for Lorena. 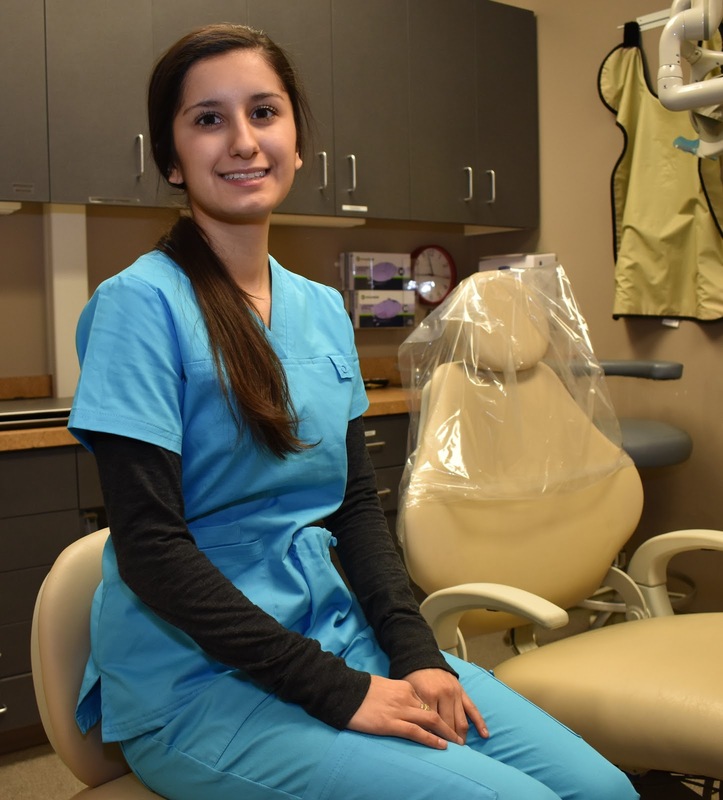 She recently assumed a part-time dental assistant trainee role at Promise Community Health Center in Sioux Center as she completes her dental assistant education at Western Iowa Tech Community College in Sioux City. She plans to transition to full time at Promise after earning her diploma in May. Lorena, who is bilingual in English and Spanish, grew up in Rock Valley and graduated from Rock Valley High School in 2016 before going on to WIT. She was interested in serving at Promise because it was a great way to practice her dental assistant skills and get a headstart on her career while still in school. Lorena Ronquillo lives with Rock Valley with her parents, Leticia and Luis. She has three sisters and two brothers. In her spare time, she likes to spend time with her family. SIOUX CENTER – A trip across the globe to slums in India during college was an eye-opening experience for Kristen Schuler. She observed the importance of family planning and community health while she taught women’s health and hygiene classes. encompass and how the care can benefit them. Schuler, who has served as a registered nurse for Promise Community Health Center in Sioux Center since June 2015, noticed women who didn’t consider their own personal health-related matters because they focused on keeping their children fed and happy. She saw large families living in rooms the size of an office cubicle. She talked to a mother who had never heard of birth control or being able to make decisions about family size. “I witnessed how life-changing simple education can be and how awareness of how our bodies are made and how they function has the ability to bring empowerment and confidence to people,” she said. 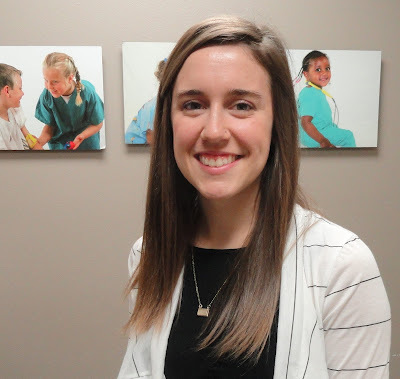 Now three years later, Schuler continues to discover the difference that can be made in the lives of people with access to affordable family planning services as the family planning nurse educator at Promise CHC – a role she has served in since February 2017. Yet, she also recognizes that many people here in northwest Iowa don’t fully understand what Promise’s family planning services are all about. Q: People hear the term “family planning,” but what does that mean? What is family planning? A: This is a great question because I think a lot of people tend to be confused about what this term really means. Family planning involves deciding the number and spacing of children an individual or family desires, but it is not only confined to those who are at a point where they desire a family. There is a lot more that goes into it than just that. The availability of family planning services allows individuals to take care of their reproductive health needs at whatever stage of life they may be in – male or female, teenager or middle-aged, seeking to be a parent or not interested in having children. It can be such an important service to a wide variety of people. Q: What services can people receive through Promise’s family planning program? A: There are a wide variety of services available, but ultimately it all depends on the patient and what they’re looking for. Services include yearly physicals for both males and females, pregnancy testing, birth control counseling and dispensing, testing and treatment for sexually transmitted diseases, and general reproductive health complaints such as UTIs or yeast infections. Q: Who can benefit from these services? A: While the program has the potential to benefit all different ages and stages of life, I should mention that there are a couple of qualifiers you have to meet. First, you have to be between the ages of 12 and 55. Second, you have to be capable of having children but not pregnant. A disclaimer: You can be eligible for the program both before and after pregnancy, but not during. You can still come see our wonderful midwives in the meantime! The last qualifier is that you have to be below 300 percent of the Federal Poverty Level. If you’re not sure if you meet this requirement, you can always stop by the clinic during open hours and meet with our outreach staff. Q: How does the cost arrangement work for family planning? A: If anyone is familiar with Promise’s sliding-fee discount, the family planning program offers free or reduced costs that go beyond our regular sliding-fee scale. There are five different levels for costs of services. Which one you fall in is determined by your family size and income. Another disclaimer: Just about any high school or college student who works part time or is unemployed would be eligible for free family planning services. Q: How are Promise’s family planning services unique compared to other health providers? A: The family planning program at Promise is funded by money that comes from a state grant, and this grant is specific to community health centers and family planning clinics. Most clinics and health providers offer similar types of services – female and male physicals, pregnancy tests, STI screening and treatment, birth control dispensing – but without the reduced cost and sliding-fee scale. Another factor that makes our services unique is the onsite birth control dispensing, which eliminates a trip to the pharmacy. Lastly, our services can be offered confidentially to minors. This means that any patient ages 12-17 can access confidential care and begin the process of making their own decisions about their health. All that being said, Promise’s family planning services have the ability to be more confidential, more affordable and more easily accessed. Q: What are the biggest misconceptions about family planning services? One, family planning services encompass so much more than birth control. These services are to assist patients with any kind of reproductive or sexual health decision, whether that be screenings to ensure optimal health or treatment for an infection. Two, these services are not only for women. Men, we can assist you, too. Three, the idea that “family planning services aren’t for me.” Whether you are hoping to have children, don’t want to have children, are/aren’t sexually active, there are ways that these services can benefit your health. Even if it’s just a simple yearly physical, you can qualify to become a family planning patient. Q: What stands out as far as ways people have been helped through Promise’s family planning services? A: Time and time again, I’ve seen the difference that it makes to patients and their families to have affordable family planning services available to them. We have a number of families who’ve been able to access birth control that they otherwise might not be able to afford. This enables these families to live their lives without fear of an unwanted pregnancy and gives them the confidence that they can affordably make these health decisions. Or, I think of a patient who previously received family planning services from a Planned Parenthood clinic in Sioux City that was shut down. 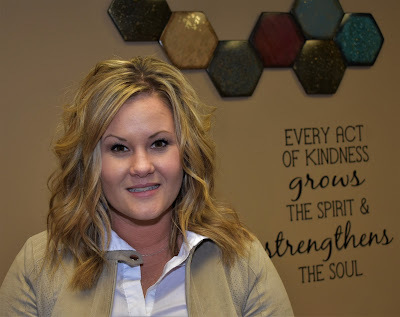 She simply wanted to stay up to date on her yearly well-woman exams, but the next closest clinic in Iowa that could provide these services affordably was in Council Bluffs. She has now transferred her care to Promise. With these services available to patients, it has become really clear that the little things make a big difference. A: While some of these topics and services that we provide through the family planning program can seem sensitive or uncomfortable or embarrassing, I can promise you that the providers and staff at Promise will do everything in their power to make you feel comfortable, heard and cared for. We are here to serve the patient’s needs, and we are excited to see any patient come through our doors because it means they are taking a step toward a healthier life. If you have questions, feel free to call our clinic. To learn more about Promise CHC’s family planning services, visit www.promisechc.org/services/family-planning.aspx or call 712-722-1700. SIOUX CENTER – Tears started rolling down Josefina’s face when she heard her diagnosis for breast cancer in July. Her nurse practitioner, Beth Strub of Promise Community Health Center in Sioux Center, reassured her, but Josefina feared what was to come. That was a sad day, but it also was a day of hope. She entered a time of treatment that was extremely difficult for her, but she is thankful because she knows the outcome could have been much worse if it had not been for the mammogram screening that detected the cancer at an early stage. Josefina, 43, an immigrant from Guatemala who has lived the past eight years in Sioux Center, has had mammograms each of the past three years. She received her first mammogram in 2015 through Promise’s Sister to Sister/Hermana a Hermana program, which provides free breast cancer screenings to uninsured and underinsured women 40-65 years old, thanks to grant funding from the Susan G. Komen for a Cure organization. Her mammogram in 2016 was provided through the Iowa Care for Yourself program. In 2017, her mammogram was covered through private health insurance through her employment at the Smithfield Foods plant in Sioux Center. After her mammogram in May at Sioux Center Health, Josefina had a couple of follow-up diagnostic procedures in Sioux Falls, SD. She then had surgery to remove both of her breasts on Sept. 20 in Sioux Falls. It was a difficult experience for her to go through. Josefina said she felt pain for a couple of months, but she gradually recovered and is feeling better now. Her doctors tell her they were able to get all the cancer, and she returned back to work in December. Because of her experience, she encourages other women to have mammograms as well so breast cancer can be detected early. “It’s important to have the mammogram done because we don’t know what we have,” she said. During the past six years, Promise Community Health Center has made available about 350 mammograms to women through its Sister to Sister/Hermana a Hermana program, thanks to grant funding through Susan G. Komen for a Cure. The program is offered to women 40-65 years old who do not have insurance or do not have adequate insurance coverage. The program also provides funding for free clinical breast exams during well-woman visits. Transportation also is made available for women who lack the means to travel to these important screenings. If you have questions, call Promise at 712-722-1700. 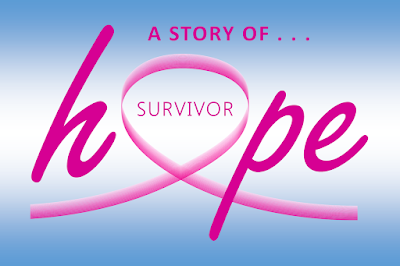 About 1 in 8 (12 percent) of U.S. women have a lifetime risk of developing breast cancer. An estimated 268,670 new cases of breast cancer will be diagnosed in men and women nationwide during the year 2018 – the most of any cancer. An estimated 41,300 men and women nationwide will die from breast cancer during 2018 – the fourth highest of any cancer. Death rates from female breast cancer dropped 39 percent from 1989 to 2015. That is attributed to earlier detection due to breast cancer screening, increased awareness and better treatments. 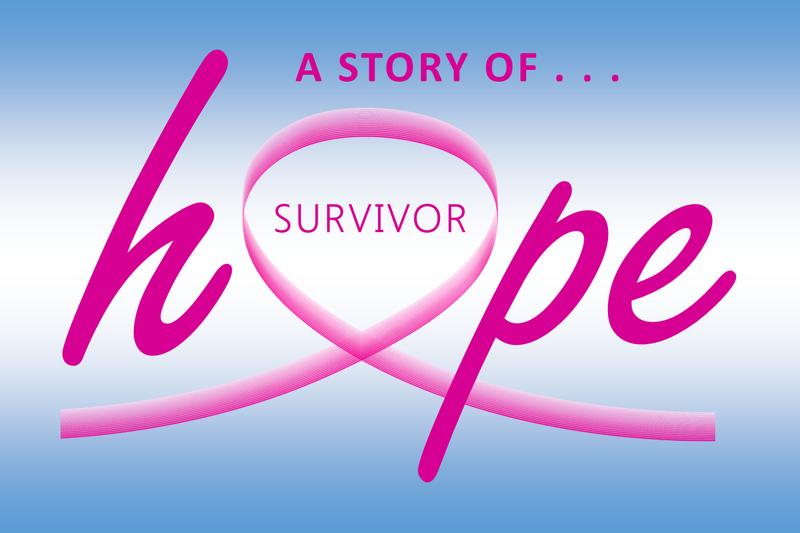 The United States has more than 3.1 million breast cancer survivors.